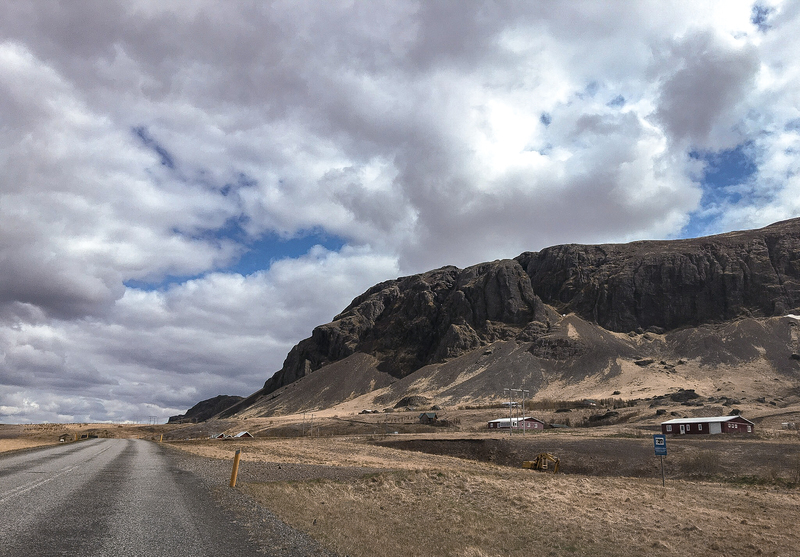 The best way to see Iceland is definitely by driving. The most popular route is driving through the entire country on Route 1. You’ll get the chance to see everything from mountains to beaches to volcanoes following the country’s most popular highway. With the tourism industry booming in the last couple of years, the country is still trying to catch up and renting a car is still a little bit confusing. Many blogs will encourage you to rent a 4x4, saying you’ll get stuck or can cause your car damage if you don’t. The problem with this is that 4x4’s are extremely expensive to rent for week-long (or longer) trips. Not only that, they often sell out just as fast. When we visited the country back in 2016 I did extensive research on this topic. Iceland is already very expensive and we wanted to find ways to cut down our costs where we could. We weren’t planning on going off-roading at all, sticking mainly to the paved highway so I needed to know whether we needed a 4x4 or not. Here are a few things I learned from my research and visiting the country. My hunch was right! We didn’t actually need a 4x4 for the trip we were taking in Iceland, as we were going in summertime. There are a number of paved roads as you make your way through the country and small economy cars will get you there just fine. Not only that, gas can be really expensive so it helped us to save on costs there as well. However, had we been planning on going to Iceland in wintertime, then 4x4 is definitely recommended, as the roads can get covered with ice and snow. If you don’t plan on renting a larger vehicle, make sure to avoid taking the F roads. Any map will tell you which roads they are. In wintertime these roads are closed, but in summer they are only suitable for 4x4. This is important because they are not paved and sometimes these roads are filled with giant rocks. We made the mistake of trying to take a shortcut from Route 1 using an F road and I still have nightmares, we were lucky to get out unscathed. Most of the gas stations in Iceland actually won’t accept cash or American Express cards. If you have a VISA or Mastercard you'll have no problem (if it's a chip and pin card), otherwise you can buy their designated cash card. Most of the gas stations in Iceland use gas cards. You need to prepay on these cards in order to put gas on your card. If there is a service station around, then you can pay with cash, but a lot of the times there is no service station, or you may arrive at the gas station after they have closed down. When buying gas you can use a self service machine where you put in your credit or debit card (you'll have to know your pin number for it!) and then you can just punch in a machine that you want to fill up the tank, and you'll only be charged the final amount. You can also choose predetermined amounts to pay. There were three major gas stations: N1, Olís and Orkan that we came across. Out of those Orkan is the cheapest one. If you plan on sticking to just one, make sure you know where the gas stations are going to be along the Ring Road so you can plan appropriately. Many of the gas stations will have maps of where you can find their sister locations, just make sure to ask for it. I’m sure you could always do a Google search before your trip to help you make the decision before landing. As a side note, most of the gas stations have hot dogs you can buy. I know how this sounds but honestly they were some of the best hot dogs I’ve ever had. Plus they are super cheap which can make eating in Iceland far more cost effective. Food in the country can get rather expensive. Honestly, I’m not sure I even knew the difference between a diesel and petrol car before doing research for this trip. While diesel cars typically cost more to rent then petrol, the money you’ll save on gas throughout your trip will be 100% worth it. If you are able to, rent a standard vehicle as well. This will drastically help to keep costs down as automatic cars can be very expensive to rent. When searching for car rental companies, I found a lot of the popular global brand names to be quite pricey. Obviously, they cater to tourists who are interested more in convenience, than price. Search outside of the norm, there are some great local rental car companies that you can use. On Guide to Iceland you can actually compare rental car prices from companies all over the country, to find the best price available. Make sure to get the extra car insurance that whatever company you use is offering. I read way too many horror stories about people paying large amounts out of pocket because of car damage. In a country with tons of ash, winter weather, rain and unpaved roads, it’s better to pay that little extra as security for yourself and your wallet. The last thing you want to do is come home with a hefty bill because you were too cheap the first time around. If you plan on heading off of the Ring Road during your trip make sure to have a map, a GPS or have wifi on your phone. We found at certain points we needed both but for the most part we were pretty good using a physical map. By doing a bit of research you’ll be able to find all of the information you need on places to see just off the Ring Road. I’ll be posting about that later. Are you ready for the road trip of a lifetime?